Twin - duvet cover 90" x 68", pillow shams 20" x 26"
Full/Queen - duvet cover 90" x 90", pillow shams 20" x 26"
King - duvet cover 90" x 104", pillow shams 20" x 36"
Includes: 1 duvet cover measures 68"x90", 1 Pillow Sham measures 20"x30". Brushed microfiber fabric makes them hypo-allergenic, soft, breathable. Corner ties to help hold the duvet in place ensuring greater comfort. 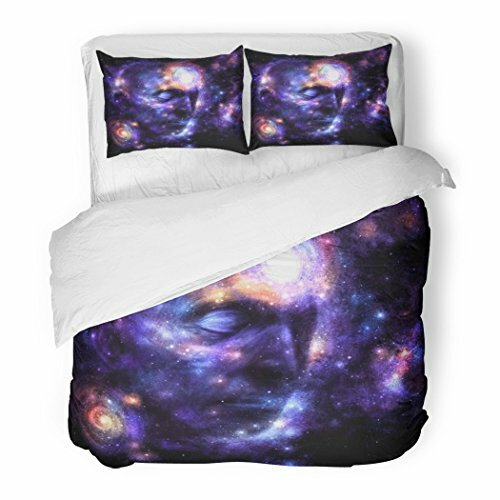 Unique design, good choice for giving your bedroom a fresh look. Machine washable in cold, dries quickly on tumble dry low temperature. If you have any questions about this product by SanChic, contact us by completing and submitting the form below. If you are looking for a specif part number, please include it with your message.